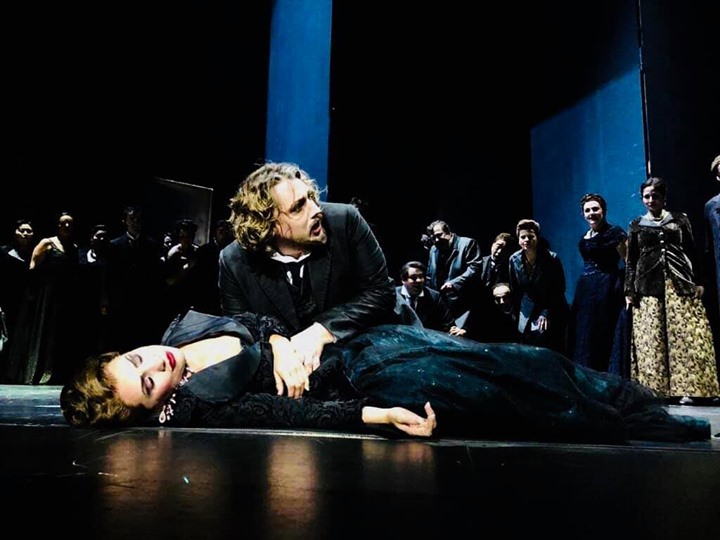 Here some fotos from our emotional last performance at the Deutsche Oper Berlin!some of those fotos have another perspective, very close from us! Thanks Christine for the surprize! Thank you from the bottom of my heart to all my amazing colleagues, musicians, stuff and everyone involved in this production. I’m so grateful for all beautiful moments and also for the incredible warmth and immense joy of our public! Tausend Dank! And not at least: i’ll be back in these 4 roles in a new production signed by the one and only one Vincent Boussard and conducted by the amazing conductor Sebastian Lang-Lessing at the Seoul Arts Center next season!